There is never a day when retailers are not concerned about the services and standards they are meant to set. 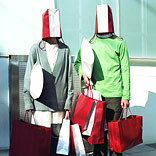 At their rescue are a set of individuals who go undercover, from surveys to researches, The Mystery Shopper does it all. It all started in the mid 1940s as a means used by market research companies to measure excellence of retail services and employee veracity. Mystery shoppers or the mystery consumers pose as normal customers and act upon varied activities, such as asking questions, registering complaints, showing behavioural tantrums to actually buying products. They provide the administration with a method which is not only swift but also proficient in assessing their business practices, deliverables and employees from the perspective of a non-biased consumer. The most common agenda for the mystery shoppers is to offer the services to retail stores, restaurants, health clubs, fast food chains and cinema houses. Many mystery shopping companies are completely administered through the internet, to permit potential mystery shoppers to use the internet to register for participation, find jobs related to the field, find people already into the field and also to receive payments. In the UK, mystery shopping is increasingly used to provide feedback on customer service provided by local establishments and other non-profit organisations. “Mystery shopping is a great concept as individuals specialised in the field gives a detailed report for the company’s improvement and gets paid after the complete job is done,” says Samar Singh Shekhawat, former Vice-President Marketing, Spencer’s Retail. Most importantly whether the store is in compliance with company’s set standard and appearance or not. The ranking is done in terms of the responses achieved. The ranking is either based on individuals or an overall experience. With the amount of competition in the market where every new day you hear about a store opening near by, the mystery shopper plays a major role. Today is the time where retailers try hard to keep up the standard of their outlets to make a good reputation and earn well. Mystery shoppers give an honest picture about a store’s condition, service and products, so it not only helps in getting a clear picture of the happenings at the store but helps as to what remedies need to be made.